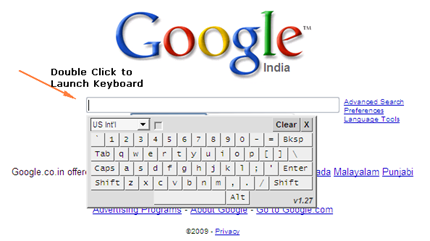 Here are the steps, I’am going to show it with the example of using the virtual keyboard grease monkey script in Opera. 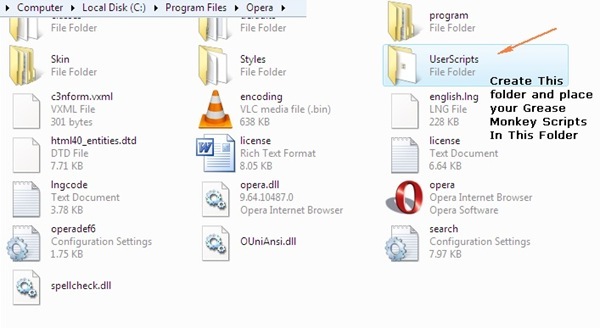 Check if the User Scripts Folder is already set in Opera, Enter “opera:about” in the address bar and for the highlighted sentence as shown in the following image. 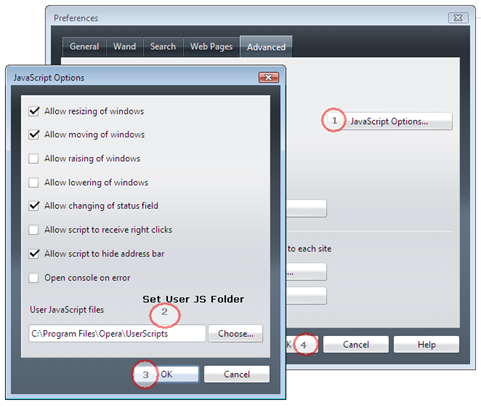 Browse and choose the path to the created UserScripts Folder. 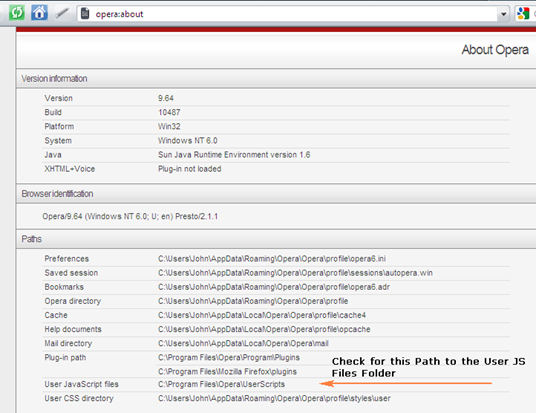 Now place the GreaseMonkey Scripts in the UserScripts folder and you can use the Grease Monkey Scripts in Opera. 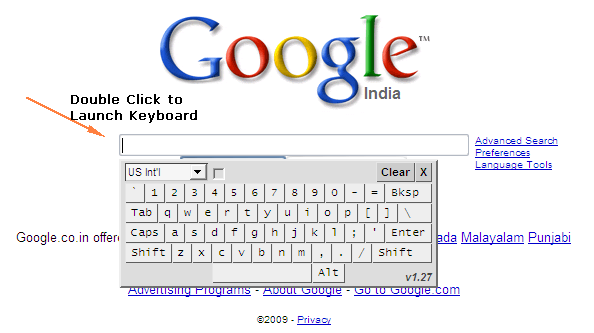 You can try out the Virtual Keyboard GreaseMonkey Script In Opera, Here’s how it looks in action in Opera.